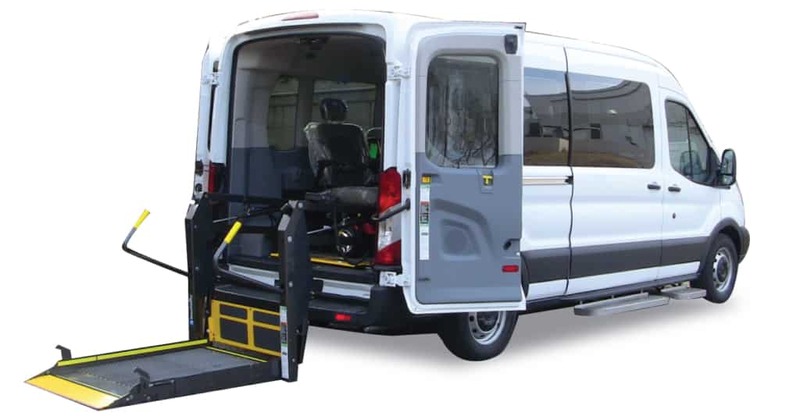 CommTrans now offers you the most versatile wheelchair vans on the market! The SmartFloor wheelchair van has an innovative new flooring system that allows you to quickly and easily rearrange the seats to accommodate up to 4 standard wheelchairs or up to 13 passengers. 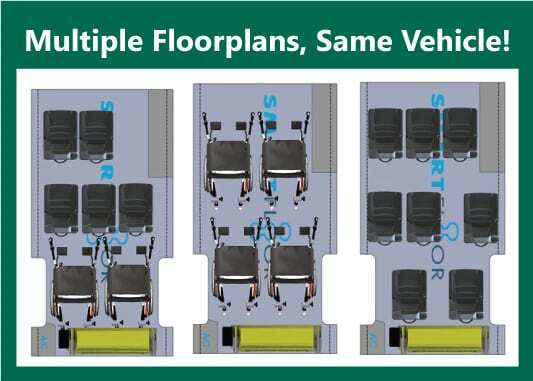 Options include fixed seats, flip and fold seats, bus door entrance, cot mounts, rear or side electric lift, stanchion poles, entry steps, and roof hatch to meet FMVSS. Built on a Ford Transit, the SmartFloor wheelchair van gets great gas mileage and has the quality and comfort that your passengers will appreciate.